It’s quite surprising to us just how much fun a wheel, a ball, and 37 numbers can provide us with yet years after our first game we’re still incredibly excited about what might happen every time we decide to play a game of Roulette! That excitement has only gone up in recent times too when we made the switch to live Roulette as now we’re able to play it far more than we ever could before but still with all the same sights, sounds, and actions of an actual casino! That really was the deciding factor for us when it came to live Roulette. The feel and atmosphere of the whole place. We will admit when live casinos first became a thing we weren’t overly impressed and even finding a game of live Roulette wasn’t exactly easy. Nowadays things have changed and the quality that’s been poured into live Roulette makes it out and out our favourite way to play the game. 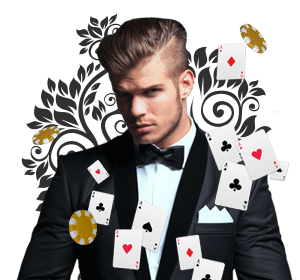 If you’d like to be given an idea of what you can expect well when you load up the live casino lobby you’ll more often than not find a large handful of Roulette games to play. Some of these will be the live European Roulette you’re accustomed to while others may be the double 0 version of the game; American Roulette, and there’s even a few more variations of the game beyond that. Whichever one you choose though the same thing will happen and that’s a livestream of the table you’ve chosen will pop up in a new window along with the Roulette wheel, the dealer, and all the chips you can bet with. The quality of the stream you’ll find is second to none offering high definition graphics, no lag, and the ability to even pick up the tiniest of sounds that are going on around you. Along with this you also have the ability to strike up a conversation with the dealer if it takes your fancy to get a bit more of a personal touch to the game. When it comes to the betting you’ll notice the stack of virtual chips that run along the bottom of the screen and these are what you’ll bet with. Click whichever denomination chip it is you wish to bet with and then click once more on the betting table where you’d like to place it. If you want to make multiple bets with the same chip you can just keep on clicking and if you ever go too far there’s also a cancel bet button to remove chips from the table. You’ll also see a timer running down the screen while you’re placing your bets and this is to let you know when the dealer’s going to make the spin so you have time to get all your bets in. Then you get to sit back, relax, and watch the dealer make the spin and the ball(hopefully) drop in your number. If it did then any winnings you made will immediately be added to your account balance and ready for you to make the next bet. If not then you can always try again anyway! There’s not really any more to live Roulette than this although there are some additional betting options to make things easier for you such as a repeat bet feature as well as a double down feature. All in all if you’re a big fan of Roulette you’re going to love live Roulette as it’s able to offer you the same game you’re used to in an actual casino but from the comforts of your very own home!